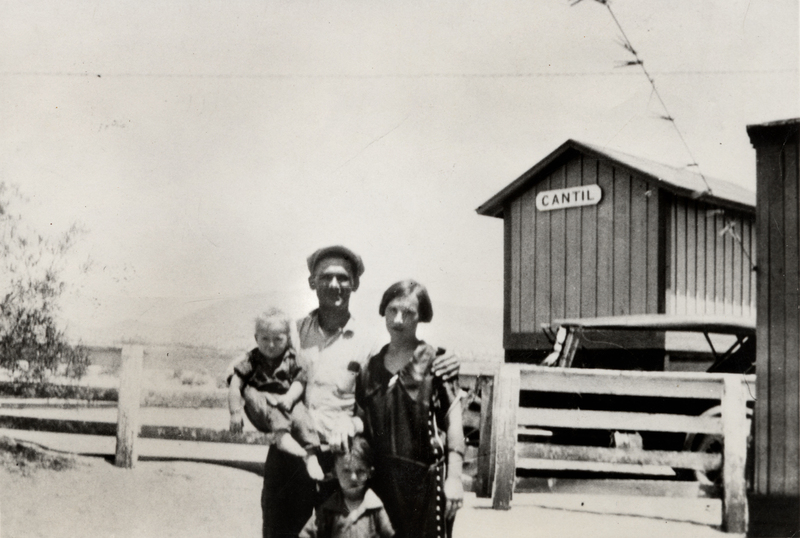 Only known image of St. Francis Damkeeper Tony Harnischfeger, seen here at Cantil (Kern County, just south of Red Rock State Park) with his wife, Gladys; their son Coder (born 1921); and their daughter Gladys Antoinette (born 1924). This might be about the last time the couple was happy. 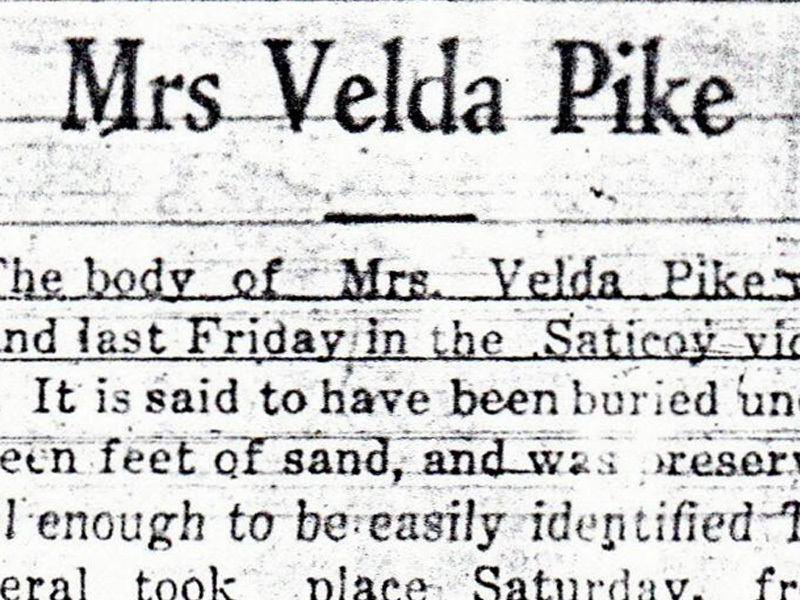 They split in 1926 or 1927. Tony was living just below the dam with Coder and Tony's girlfriend, Leona Johnson. 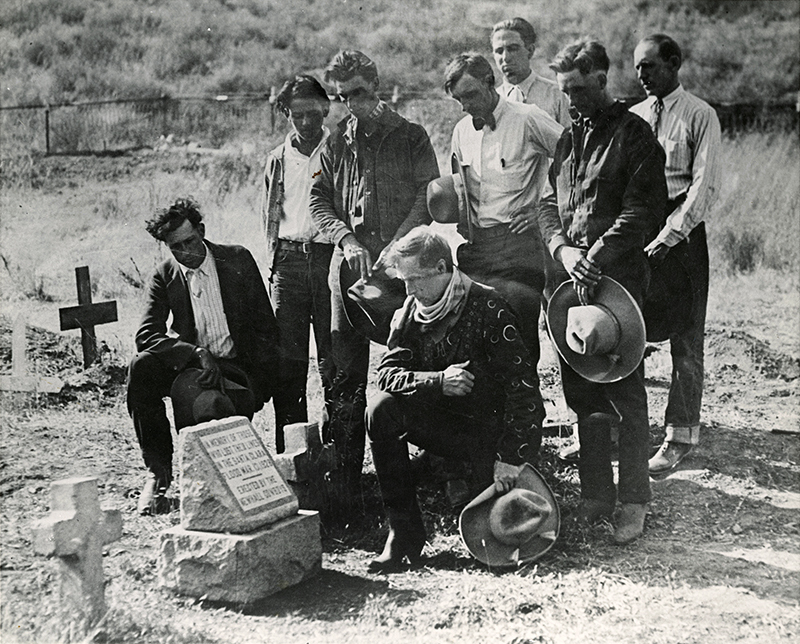 The three were the first to die when the dam broke just before midnight on March 12, 1928. LW2403: 9600 dpi jpeg from original photograph | source & current location unknown.